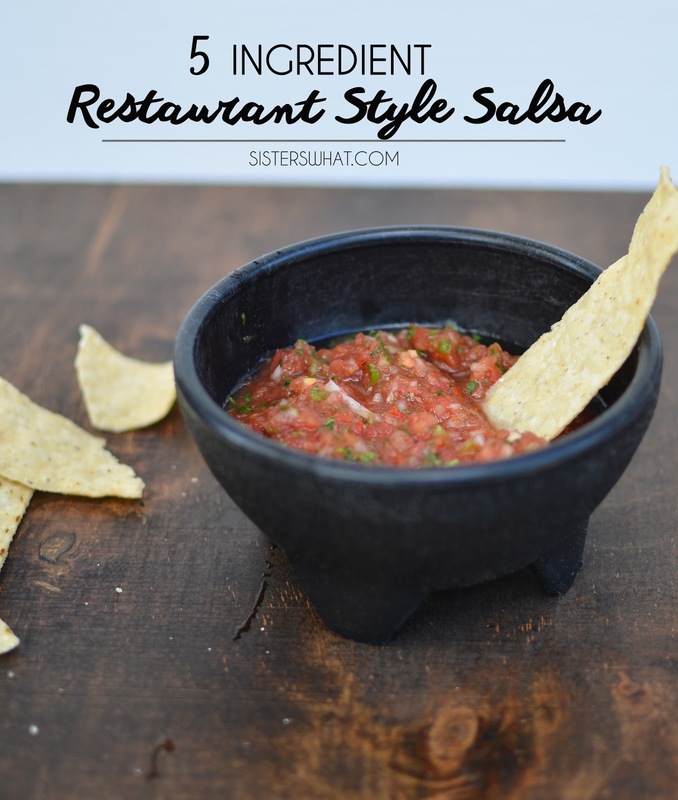 ' 5 Ingredient Restaurant Style Salsa - Sisters, What! To be honest, I'm one of those lazy people who [almost] stops cooking during summer. We usually graze on whatever veggies and fruits we can get our hands on. 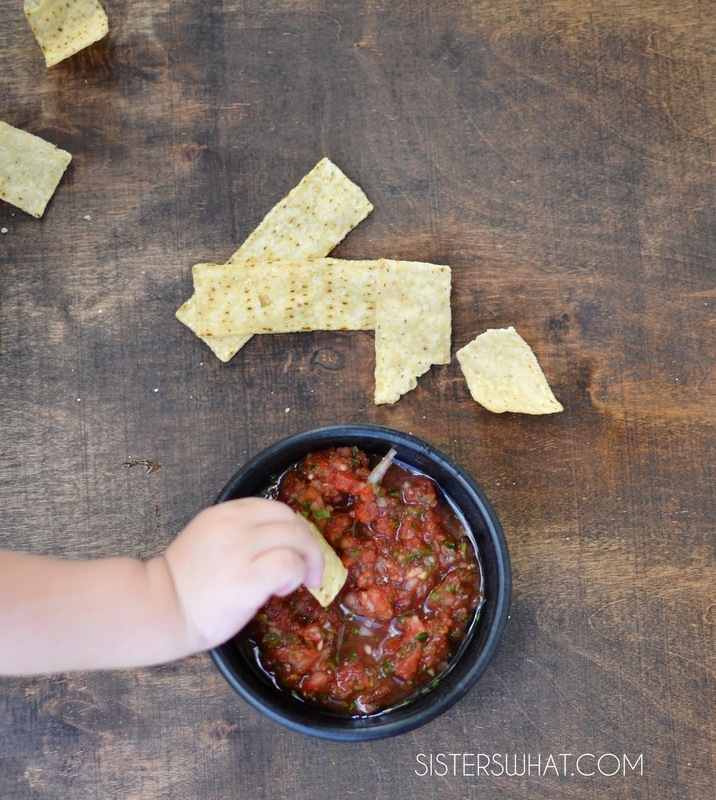 The littles actually love this (see pic below, small one was sooo sneaky) especially eating out of cute little salsa bowl. 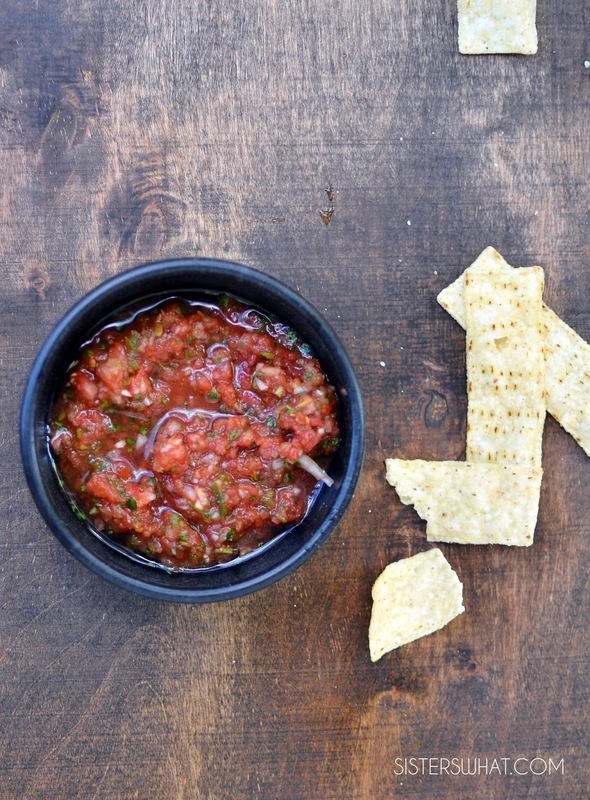 One of our absolute favorite summer finger foods is homemade salsa, especially with tomatoes fresh out of the garden (or local farmers market). Seriously, there is nothing tastier than fresh garden tomatoes. I'm not joking, if you have never tried garden grown tomatoes than go to your local farmers market, you will thank me. Today, I just had to bring back an oldie but goodie. It's just too good to let it stay hidden on this blog here. Plus, it's super quick and easy to make.